U.S. Army Soldiers assigned to 2nd Brigade Combat Team, 1st Armored Division, react to simulated contact in an Abrams tank during Decisive Action Rotation 17-08 at the National Training Center in Fort Irwin, Calif., Aug. 14, 2017. Fielding the next generation of combat vehicles is a modernization of the Army Chief of Staff Mark A. Milley and Acting Secretary of the Army Ryan McCarthy. U.S. Army Materiel Command is pivoting its strategic focus to better align with modernization priorities set by senior Army leaders. The move is expected to enable the readiness and resilience of the future force. In a letter released earlier this month, Acting Secretary of the Army Ryan D. McCarthy and Chief of Staff of the Army Gen. Mark A. Milley identified six modernization priorities. Those priorities are long-range precision fires; a next generation of combat vehicles; future vertical lift platforms; an Army network with hardware, software, and infrastructure; air and missile defense capabilities; and Soldier lethality. “Our Army will implement these modernization priorities to improve our acquisition and modernization processes to ensure future generations of Soldiers continue to be the most lethal fighting force ln the world, for the next seven decades and beyond,” the letter read. For the last nine years the Army has focused on its current readiness capabilities and made small incremental improvements that provide resources to the forces in the fight, according to Lisha Adams, the executive deputy to the commanding general of U.S. Army Materiel Command. The modernization investment strategy has not changed throughout the years, Adams said. Additionally, non-discretionary spending has decreased, and now more funding is required for new requirements like cyber security, automation and the rising costs of sustainment. The Army, she said, must change its thinking on modernization. Likewise, the issue of chronic underfunding left the Army with some tough decisions, said Maj. Gen. John A. George, the director of force development within Army G-8. 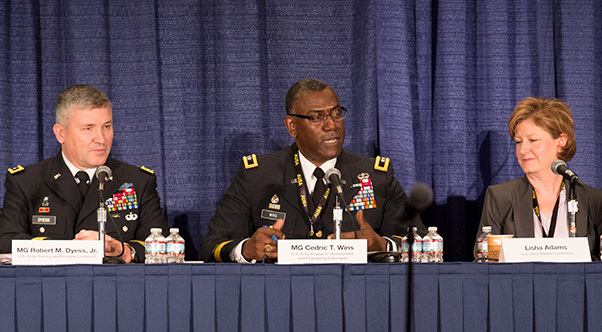 Maj. Gen. Robert M. Dyess Jr. (left), the chief of staff for Army Capabilities Integration Center, U.S. Army Training and Doctrine Command, Maj. Gen. Cedric T. Wins, Maj. Gen. Cedric T. Wins, the commanding general of U.S. Army Research, Development and Engineering Command, and Lisha Adams, the executive deputy to the commanding general of the U.S. Army Materiel Command, discuss what needs to be done to improve readiness and mobility within the Army during the Association of the United States Army (AUSA) Materiel Readiness for the Future Force forum at the Walter E. Washington Convention Center in Washington, D.C., Oct. 10, 2017. The future characteristics of war will define how the Army prepares for conflict and influence Army Materiel Command’s readiness perspective, said to Maj. Gen. Robert M. Dyess, the chief of staff for the Army Capabilities Integration Center inside U.S. Army Training and Doctrine Command. Operational complexities are increasingly global, as adversaries have demonstrated the ability to operate in all environments, Dyess said. Furthermore, the nation’s ability to deter aggression has become increasingly more challenging, as adversaries operate with and through surrogate forces — below the threshold of armed conflict. These complexities have challenged the nation’s cost-benefit relationship with sophisticated, all-domain, anti-access and area-denial capabilities. To help stay ahead of the nation’s adversaries, the Army needs to consider the technological rate of change as it affects requirements development, Dyess said. In some cases, requirements can be obsolete before a requirements document is even developed or finished. 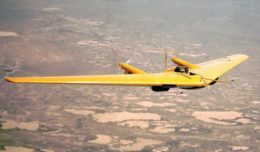 Cyber and electromagnetic capabilities are a great example of that, he said. To account for that problem, Dyess said, acquisition timelines need to be faster. Collaboration will also play a pivotal role moving forward, said Maj. Gen Cedric T. Wins, the commanding general of U.S. Army Research, Development and Engineering Command. In addition to the independent research and development provided by RDECOM scientists and engineers, the command collaborates with academic institutions and industry by funding research efforts that could potentially provide capabilities for the future Army, Wins said, adding that collaboration inside the Army, between commands and organizations is also important. 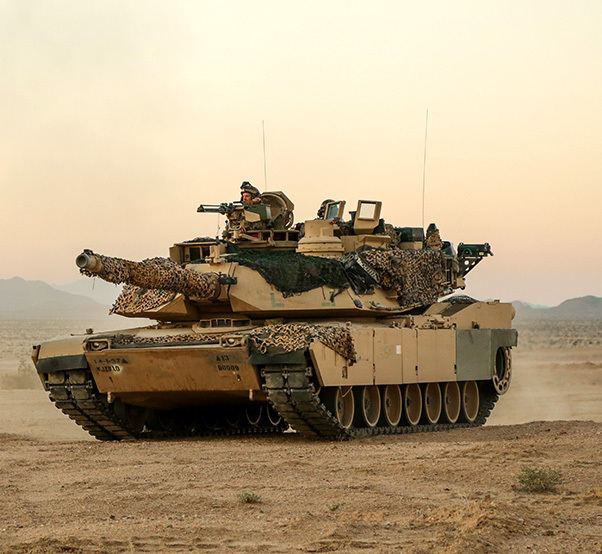 Similarly, when modernizing, the Army needs to consider how new or upgraded technology could impact the entire Army formation, said Scott J. Davis, executive program officer of Combat Support and Combat Service Support.